Many errors can occur during the medical billing process. These errors delay payments, cause confusion and reflect poorly with patients who often have to help correct the problem. An essential part of medical billing is minimizing errors, but that is often easier said than done. When you’re dealing with dozens of data points, mistakes happen. The key is knowing where problems usually occur in the process and how to prevent them. With so many minute details, it’s easy to overlook a letter or digit. Not entering the correct number of digits for a code is one of the top mistakes made during the medical billing process. ICD codes are designators for symptoms, diagnosis and causes of death. It helps decrease confusion because the universal codes are understood by health providers around the country. Being just one digit off can create serious issues during the billing process. This can also affect the patient’s medical records if it isn’t corrected. Billing specialists have to be familiar with the current codes and have a way to verify codes before filing. Another common problem is inputting the wrong code entirely. 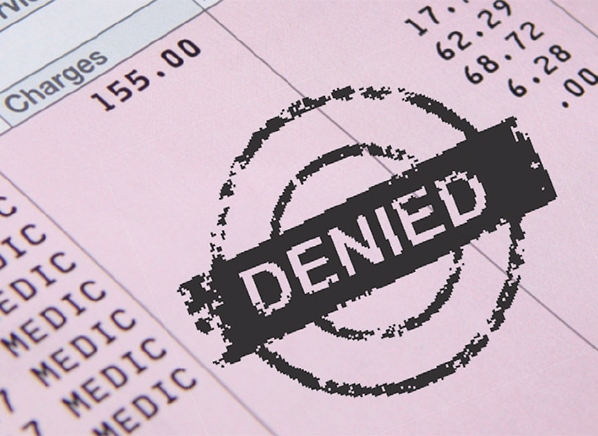 Using the wrong code on a medical bill is one of the top reasons claims are rejected and denied. Often it is the ICD-9-CM and the new ICD-10 codes that are incorrect. Because there are multiple code sets and ICD codes are updated regularly, it can be difficult for billing specialists to determine which code is correct. Online management systems like Practice Suite's free ICD 10 code lookup can help circumvent this common medical billing mistake. These systems have tools that help billing specialists look up the latest codes, which are significantly different for ICD-10. One other common billing mistake related to ICD codes is mismatched coding for treatment and diagnosis. Usually one of the codes is correct but the other is not, and it’s clearly unrelated. Here again a billing management system with updated ICD code tools can help billing specialists find and use the right codes before sending out the bill. The front desk and doctor may be very familiar with a patient, but that doesn’t mean the medical billing specialist is. Incorrectly inputting patient information is much easier than most people realize. Again, one wrong letter or number in the patient information is all it takes for a claim to be rejected. A patient management system with built-in billing functions makes this mistake near impossible because the patient’s information is automatically populated in electronic claims. The insurance company information also has to be 100% accurate on the billing records. Even though these types of errors can be slight, it can be enough to delay the bill processing and payment. It’s also fairly common for the patient’s insurance information to be incorrect on bills. Patients can switch health insurance plans or providers from one year to the next. Their plan may also be updated or changed, sometimes without the patient realizing it. For this reason, medical billing specialists have to verify insurance coverage before filing a claim. Some medical billing specialists work for multiple health care providers. Juggling the information of various providers makes it easy to accidentally input the wrong name, address or contact information. Without a management system that documents and tracks billing, it’s easy for the same medical service to be billed twice. It usually happens when more than one person in the office reports that the services were performed. The billing specialist should catch this on a superbill, but a patient management system that’s shared by everyone will help eliminate duplicate bills. Medical ethics extends well beyond the examining room. Proper handling of patient information and billing is a joint effort between the physician, administrative staff and billing specialist. Each person must be honest and accurate in their documentation or mistakes are going to happen. Periodontal disease, or gum disease, is a relatively common condition that will affect many of us at some stage in our lives, and while it can be treated with antibiotics and online doctors that prescribe pain meds to ease toothache and inflamed gums, new research suggests it could lead to more serious conditions such as heart disease, stroke, diabetes, and breast cancer if left untreated. During a study on 73,737 postmenopausal women, scientists at the University at Buffalo's School of Public Health and Health Professions in New York, discovered that women with periodontal disease are 14% more likely to develop breast cancer than those women without gum disease. This risk increased to over 30% in women who smoked or had smoked in the last 20 years. This is not the first time that gum disease has been linked to cancer, previous studies found links between periodontal disease and oesophageal, head, neck, lung, and pancreatic cancers, but for the first time, the Women’s Health Initiative Observation Study has highlighted a risk between this chronic inflammatory condition and breast cancer, and it is postmenopausal women who are most at risk. Toothache, bleeding gums, loose teeth and unpleasant breath are all signs of gum disease, and there is a plethora of scientific evidence to suggest that periodontal disease is made worse by smoking. Tobacco and nicotine can lead to a variety of different dental problems including tooth discoloration, an increased build-up of plaque, loss of bone within the jaw, and stunted blood vessels, which can prevent the gums from bleeding, even when periodontal disease is present. This is why researchers took smoking into consideration during the study, and the results, although not statistically significant, are a clear warning to postmenopausal women who smoke. While the link between gum disease and breast cancer is still unclear, some scientists believe that the blood stream could become infected with bacteria from the gums, which then spreads to breast tissue causing the formation of cancerous cells. However, researchers who carried out the study confirmed that more research is needed to pinpoint a specific cause-and-effect link between the two, and that more evidence is required to establish a clear connection between periodontal disease and breast cancer. Jo Freudenheim PhD, a distinguished professor and lead author of the Women’s Health Initiative Observation Study said, “These findings are useful in providing new insight into what causes breast cancer.” She continued, "We know that the bacteria in the mouths of current and former smokers who quit recently are different from those in the mouths of non-smokers." "There is good evidence, though, that good dental care is important in any case and that treatment of periodontal disease is important for the health of the mouth," she said, “but more study is needed before there is enough evidence to say that gum disease causes breast cancer or other diseases”. In the early stages of gum disease, common symptoms include red swollen gums and bleeding when brushing the teeth. If left untreated, the jaw bone and surrounding tissues may become affected, leaving sufferers with loose teeth, bad breath, painful gum abscesses, and in severe cases, tooth loss. It is therefore essential that gum disease is diagnosed quickly. One of the easiest ways to avoid gum disease is with good oral hygiene. By brushing twice per day with fluoride toothpaste, flossing regularly, and not smoking, you can reduce the risk of gum disease, and regular visits to the dentist (every 6 months), will keep toothache and dental problems at bay. This is a guest post by Dr Anderson, a health physician. What To Do If Your Doctor’s Prescribed Drug Worsens Your Condition? Beth Botelho was shocked after finding out her newborn daughter had a chronic congenital heart defect. She revealed the baby needed open heart surgery and required life support. It was an extremely overwhelming situation for the mother. According to her story, it was an “off-label” prescribed drug called Zofran she took during the first trimester that caused the defect. The first trimester is the time when the heart of the baby develops in the mother’s womb. But the drug was never approved to treat morning sickness. Preparing documentation to file a lawsuit is a complex process. While you can self-learn this process, a slight error could make it favorable for the doctor whose prescription led to the worsening of your condition. Personal injury lawyers are a professional option that can offer their training, knowledge, and extensive experience to you while supporting your journey for a positive outcome. 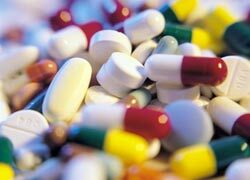 For individuals who’ve been injured by defective drugs, they will feel at ease with the prospect of taking on a large defendant. Such cases require the finely-tuned dedication of personal injury lawyers that remain determined to help you win the lawsuit case. While a professional lawyer will help you understand the damages you can claim, it is good to have an idea in advance. Apart from the medical and income damages, you can also get reimbursed for loss of enjoyment; personal injuries that stop you from enjoying daily activities like exercise and recreational activities. Likewise, you can claim damages for loss of consortium. This happens when the injury impacts the relationship you have with your spouse. The loss of sexual health or companionship, for example, is considered in the list of damages. In some states, loss of consortium includes the impact on the relationship between children and parents if one suffers a personal injury. This is different from emotional damages because the latter could be considered as a part of “pain and suffering” damage. It is important to know the deadline by which the lawsuit can be filed. Only in rare cases can the lawsuit be filed shortly after the deadline has passed. Each state has different deadlines and requirements that should be met before the case is filed. Professional lawyers can help meet the lawsuit requirements before the deadline. There’s also a deadline to file an appeal if you lose the case because an appellate court may reverse it or refer it to the trial court with directions to solve legal errors. To avoid any twists and turns along the way, professional support can be blessing in disguise. Also, if you apply for insurance, you should inform them as soon as you know about the lawsuit (many insurance companies list this as a strict requirement). Perhaps you could get the insurance company to pay for the professional lawyer or provide its own. Lastly, you should note that there is a deadline to inform the insurance company as well. 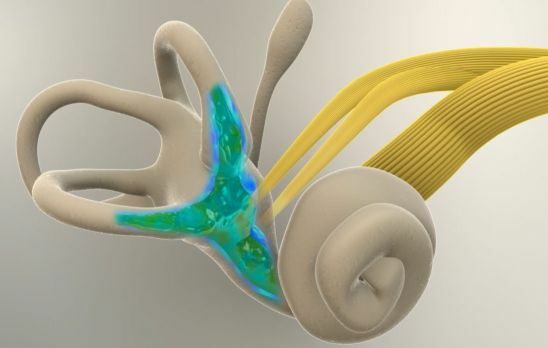 Meniere’s disease is a condition that affects the inner ear, causing unpredictable episodes of vertigo, tinnitus (ringing in the ears), and sometimes hearing loss. Most people experience these symptoms in one ear. The medical world isn’t sure what causes Meniere’s. Believed to be triggered by a variety of factors including head trauma, allergies, improper fluid drainage from the ear and other possible factors, the condition isn’t well understood. Researchers do know that symptoms originate from the labyrinth—a combination of bones and membranes that make up the inner ear. Inside the labyrinth are tiny hair-like structures that sense the movement or change of fluid inside the ear. Any alterations in the amount, pressure or chemical composition of this fluid could cause symptoms like those seen with Meniere’s. While there’s no cure for the condition, there are a variety of medications that can help manage Meniere’s symptoms. Meniere’s can affect a person’s balance, and can impact their ability to walk or even stand in one place without feeling like falling over. That’s why it’s important to be aware of possible triggers and activities that might put you at risk for injury. 1) Avoid heights. It doesn’t take a high fall to cause serious injuries. Climbing a ladder to clean the gutters or standing on a chair in the kitchen can put you at risk if an episode should occur. If you must climb, let someone know what you are doing, ask for their assistance, or consider hiring a professional for big jobs. 2) Don’t drive a car or operate heavy machinery. If you have frequent episodes of vertigo it may not be safe to operate a car or other machinery. Try to learn what activities or movements tend to trigger an attack and do your best to avoid them if you must drive. If possible, get someone to drive you where you need to go or take public transportation if it’s available. 3) Sit or lay down immediately. This may seem obvious, but getting your body into a safe position is important. If possible, try to assume a position that helps relieve your symptoms. There are several approaches your doctor or physical therapist can show you to help resolve symptoms. Stay in a safe position until your symptoms clear. It may not always be possible for you to have someone around to help at all times. If this is the case, consider keeping your phone or an emergency alert system available if you find yourself injured or in need of medical assistance after an attack. Lasik (laser in-situ keratomileusis) is a type of eye surgery that’s widely used to treat myopia, hyperopia, and astigmatism. It’s been around for many years, and provides a solution for people suffering from common eyesight problems and diseases. Nowadays, it’s one of the most common and well-known eye surgeries that exist, and it keeps developing to ensure increased safety, speed, and a shorter recovery time. He continued to develop this procedure for years, and with help a non-freeze technique was eventually developed. It was refined until such a time when disc could be replaced without sutures. In 1988, the breakthrough was perfected and the first sighted eyes were treated. After many more years of research and technique development, the Photo Refractive Keratectomy (PRK) was combined with keratomileusis, and Lasik surgery was born. An excimer laser was used to sculpt from under the hinged flap, thus the breakthrough received the shortened moniker, Lasik. Although eye surgery has come a long way, only skilled eye doctors and surgeons should perform Lasik surgery. For example, Dr. Yaghouti of Global Laser Vision is a “board certified, leading corneal and refractive surgery specialist educating eye surgeons from all over the world…” This is the sort of description you should look for when considering Lasik surgery for yourself. Lasik is performed using what’s commonly referred to as the protective flap method. A small flap is made onto the surface of the eye, using an instrument called microkeratome, at the cornea. The flap is raised, and an excimer laser is used to clear the corneal tissue. The laser reshapes the cornea to correct optical errors. After a few hours, the surface of the cornea heals and seals the flap. Ultimately, the Lasik technique is the result of several years of research and the combination of various techniques, which has improved the recovery time to just a few hours. The reason why Lasik is so safe and effective is because the laser removes tissue from the cornea without damaging the remaining tissue. When compared to PRK laser vision correction, Lasik is a better option because it’s more comfortable for the patient and requires very little recovery time. It’s expected that patients should be able to see better after only 24 hours. The surgery itself requires only a local anesthesia, which wears off after about two hours. Lasik is currently being used to treat a number of complications, including clouded vision and night vision problems. It’s anticipated the method will improve, and thus further improve these sight issues. The most recent technological developments are helping the method improve its accuracy with computer guidance. Combined with laser precision, the likelihood of a serious complication post-Lasik is less than 1 percent. Lasik is incredible, and the reward of many years hard work by its innovators. It’s the pinnacle of years of study and ocular improvements. For everyone, Lasik is an easy and accessible solution for common eye problems. It’s quick, relatively painless, and also safe and effective with twenty years of proven results. These days, the medical world is experiencing an upheaval in the way they deal with patient care. Medical students are encouraged to be more proactive and think outside the box to find ways to build closer relationships with patients, and institute ground-breaking chances to medicine. Doctors and engineers around the world are looking forward to the future of medicine by creating innovations that change medical care. There are hundreds of developments still being considered and researched, but these three advancements are already being used or that we will see become a reality in the near future. 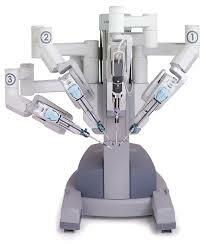 Specially trained surgeons operate this machine to perform procedures which are minimally invasive. The Da Vinci machine uses tiny wristed surgical arms and a small camera to allow for greater rotation during surgery than a human wrist can use. The incisions are very small, often less than an inch long. A trained surgeon watches on a high-definition 3D screen as he/she remotely operates the machine arms. Da Vinci allows for greater accuracy and less risk of infections, and has already been used to help more than 2.5 million patients worldwide. Though it isn't in use in every hospital yet, it won't be long before all surgeons in all hospitals are using this for less invasive and more accurate surgical procedures. More and more hospitals and clinics are turning to cloud software to improve overall patient care. Cloud software allows doctors to access information not just internally within a hospital, but externally with hospitals outside of their networks. Patient records can be more accurately passed along, paperwork is reduced, and care becomes more streamlined. Most of this software goes beyond just sharing information between doctors. Programs like AdvancedMD All-in-one medical software allow doctors to electronically send prescriptions to pharmacies without paperwork, manage billing with insurance companies, and even allow patients to go online to request appointments with their doctors. This means no more sitting on the phone waiting for a receptionist to pick up. Patients input their needs and availability, and a receptionist calls them to offer appointment times within that availability. While several hospitals are turning to the cloud, not all of them are there... yet. Right now, doctors are using 3D printing to render exact replicas of patient organ issues in order to assist with the diagnosis more accurately. While this is helpful to save lives, the possibilities for this sort of printing is incredible. It won't be long before doctors are able to use 3D printers to create exact replicas of a healthy organ to use for transplant, or artificial arteries as a solution to ruptures. It is entirely possible that within the next 10 years 3D printed organs could replace the need for an organ donor or transplant waiting list. These three advancements are only the tip of the iceberg. In the coming years, we will see a number of revolutionary medical advancements that will change the way we experience health care. Nowadays, the names of many medical imaging techniques (e.g., X-rays, ultrasound, CT Scans, MRIs) are commonly used in everyday conversations even though the average person may not know what the terms stand for or how the imaging techniques work. Medical imaging scans are an essential part of daily medical practice, from the family practitioner, the varicose veins treatment specialist, the cardiologist, and the neurologist, just to name a few. Although physicians are likely familiar with the history of medical imaging, a brief summary is provided below to show how far the field has come. The first X-ray was taken of the hand almost 120 years ago, on December 22, 1895 by a German physicist (Wilhelm Rontgen). Rontgen did not know what type of rays he was dealing with, which is why he referring to them with the letter “x” (to designate an unknown quality). He discovered the rays when noticing a light green glow that looked like the bones of his hand on a fluorescent screen. The screen was about three feet away from an energy discharge tube he was experimenting with that was covered in black cardboard to prevent light from escaping. He reasoned that the glow was caused by invisible energy that even passed through items on his desk. He took the x-ray picture of his wife’s hand bones soon thereafter and medical imaging was born. X-rays became a useful way to quickly image the bones and became widely used by physicians at the time to improve diagnosis (e.g., bone fractures, dental cavities) and treatment. Although many people associate x-rays with images of bones, they are also able to provide images of other bodily structures such as the lungs. This is why they are often used to help diagnose pneumonia. A downside of x-rays is radiation exposure, which has long-term health risks that increase with the amount of radiation exposure. These effects became more well-known in the early 1900s. Medical ultrasound imaging, which produces images of body parts from the reverberation of sound waves, does not involve any radiation and has been used for the last 50 years or so. This is why ultrasounds are used instead of x-rays to obtain images of the fetus during pregnancy. Although ultrasound is not considered harmful, the images produced are of low resolution and quality. The same is true for x-rays. To correctly assess and diagnosis conditions that require higher imaging quality, more advanced techniques were created such as CT (computerized tomography) scans and MRI (magnetic resonance imaging) scans. CT scans, which were first used in 1971, uses a combination of x-rays, cameras that scan the entire body while rotating around the patient, and computer technology to provide high quality 3D images. While the image quality of the CT scan is much better compared to the x-ray, CT scans use much more radiation (e.g., hundreds of times more) than a traditional x-ray. MRI scans (first used on humans in 1977) get around this problem by providing even higher quality 3D images without the use of radiation. Instead, MRIs use high powered magnets to exploit the magnetic properties of cells in the body. The result is an image that is a very close replica of the body part being imaged. The downside to MRIs compared to CT scans is that they take much longer, are more expensive, are not as good at visualizing internal bleeding, and cannot be used in patients with certain types of metallic implants. This is why CT scans tend to be used over MRIs in emergency rooms because the physician needs to quickly determine if there is evidence of internal bleeding that requires emergency intervention. In non-emergency situations, however, the MRI tends to be used. 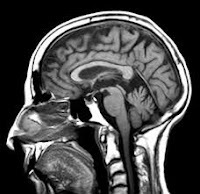 Medical imaging continues to make dramatic advancements and as a result of the above technologies, there are many specialized imaging techniques used throughout the various medical specialties. It will certainly be interesting to see what the next 120 years brings! 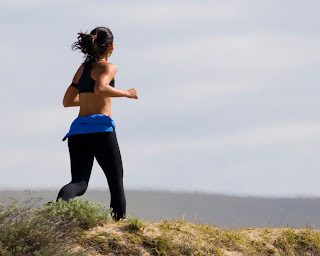 Most people know that weight loss is best achieved by balancing a proper amount of exercise with a well-balanced diet. Doing so helps reduce obesity, reduces the risk of numerous diseases (e.g., diabetes, stroke, high blood pressure), and improves one’s mood and self-esteem. For some people who are having difficulty losing weight using the standard techniques or who are overweight and already have significant medical problems as a result, diet aids may be helpful. A common diet aid most people are aware of is the food and drink category. This includes meal replacement shakes, meal replacement snacks, and low calorie snack bars. SlimFast, for example, makes many of these dietary food and drink products. These products are popular even among people who are not overweight but who want to prevent excessive weight gain. Meal replacement shakes come pre-made or in mix form in many tasty flavors such as milk chocolate, French vanilla, or cappuccino. The shakes can control hunger for up to four hours by containing a high amount of protein (e.g., 14 grams), which creates a sense of fullness. They also contain vitamins and nutrients that help you lose weight and are high in fiber, which promotes healthy intestinal activity. By being low calorie, meal replacement shakes will not cause weight gain, provided that they are used as directed. For people who do not like shakes, meal replacement bars are a solid alternative with the same health benefits. These also come in many tasty flavors, often in chocolate form. The use of low calorie (e.g., 100 calorie) snack bars helps further reduce weight if they are used as directed and replace high calorie snacks and/or foods between meals. Weight loss tablets are also used as diet aids. 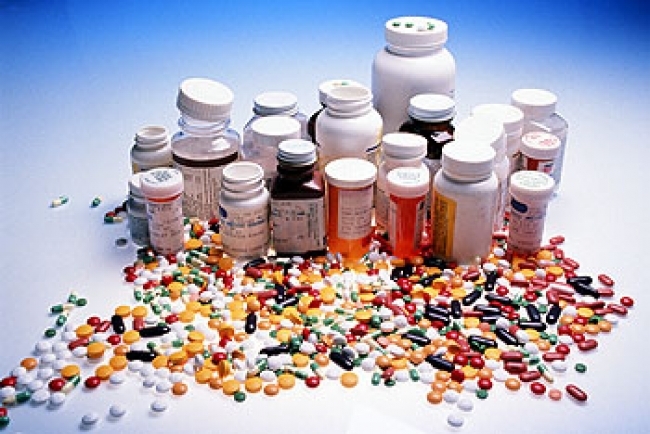 Some are available over-the counter, some by prescription, and others can be obtained from a pharmacy online. These medications work in different ways such as preventing absorption of a third of the fat that is consumed, suppressing appetite, and making your brain feel like the stomach is full. While these medications can be very helpful for some, like any medication, they can cause side effects. Because of this, you should always check with your health care provider before deciding to take one of these medications. In addition, it is important to remember that weight loss tablets are not a substitute for proper diet and exercise. There have been wild claims in the past about what can be accomplished by using brain training. Most of these have since been debunked by neuroscientists as nonsense but that is not to say that these activities provide no benefit to your health. It may sound silly, but maintaining an active interest in playing card games can help train your brain. When you think about it, these card games whilst they are a source of fun usually involve strategy, numeracy and keep you on your toes! This can be combined into a social activity by finding a local Bridge group, or you could visit the likes of http://cad.spinpalace.com and take advantage of the opportunity to make yourself some cash whilst keeping your brain active. The older we get, the more inclined we are to stick to activities which are familiar to us. Whilst it is undoubtedly comforting to only do things we are sure of with people we know, by challenging yourself to try something new you will utilize otherwise lost skills. No, you don’t need to be an instant expert in your new activity but simply by pushing yourself out of your comfort zone you may find a new social group, fun activity, and increased brain health! It can be easy to forget about the connection between the health of your brain and that of your body but of course everything is linked! Getting up and going for a brisk walk once a day or joining an exercise class has endless health benefits for you both physically and mentally (remember your teacher telling you to open up the windows for the oxygen necessary for your hard work?). The internet has a wealth of activities and programs which are designed for this exact purpose and a quick search on Google will soon have a plethora of websites to keep you busy. The BBC for instance has compiled some activities in collaboration with top neuroscientists which combine fun games with mental activity – brain training doesn’t have to be boring! This article was written by Alex Saunders. What Happens When You Get Addicted? Everybody thinks they know what addiction is or what it probably feels like. 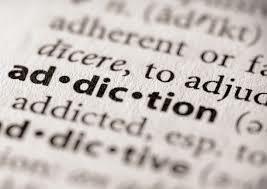 This is because addiction is typically described in language that is deceptively simple sounding. Everybody knows what it feels like to “need” something that isn’t good for them. For example, people who decide to quit eating sugar often feel that need for sugar even though they know it isn’t good for them. What many do not realize however, is that where science is concerned: the need of addiction isn’t just a metaphorical or existential need. It is literally a physical need. Here’s why. Everybody knows that drugs can wreak havoc on our bodies. Everybody knows that if you drink too much you’ll damage your liver and that if you smoke you increase your chances of developing lung cancer. What not everybody knows is that most of the changes that occur in our bodies when we are drinking or on drugs originate in our brains. Drug use inhibits our brains' control of our moods, mental functioning, communication ability and even our motor skills. All of those things change because drugs and alcohol change the way our brain processes stimuli. Specifically, taking drugs causes the brain stem, the cerebral cortex, and the limbic system to behave differently and, often, erratically. A brain functions by sending and receiving millions of chemical and electrical signals. Those signals are passed from neuron to neuron in the brain with the aid of chemicals called neurotransmitters. A neurotransmitter carries a signal into a neuron’s receptor and, for lack of better term, plants it there for the neuron to process. Imagine that spark that happens when you put a plug very close to an outlet. There is a great breakdown of how signals are transmitted between neurons here. Most drugs (and alcohol) have chemical components that cause the different parts of the brain to “misfire.” For example, marijuana has a chemical structure that is similar to that of a neurotransmitter. So, when those chemicals enter the brain, the brain thinks that it is receiving more signals than it actually is and because a drug’s chemical makeup does not behave in the same fashion as a neurotransmitter when it enters a neuron’s receptors, the brain can’t figure out how to process it. This is why drugs like marijuana and heroin have a slowing effect on the brain. Other drugs, like cocaine, cause the brain to release more natural neurotransmitters while also preventing those neurotransmitters from being sent back to receive more messages (or being “recycled”) so the brain is constantly bombarded with more messages than it can process, which causes it to speed up--which is why drugs like cocaine or meth have a “hyping” effect. Our brains’ primary goal is to keep all of the chemicals flying around within it balanced out. So, as you keep sending manufactured neurotransmitters (and chemicals that act like neurotransmitters) to it, it will slow its own production of those neurotransmitters to keep everything even and balanced. This is why, if you have been using drugs for a while and you suddenly stop, you have a hard time feeling normal. Your brain literally isn’t getting the chemicals it needs to function normally and it takes time for your brain to adjust to the change and re-start its own natural production. So, in this sense, your brain literally needs your drug of choice for you to continue functioning like a normal person. This is particularly problematic in adolescents. According to a blog post from hotelcaliforniabythesea.com, adolescents’ brains are still forming and introducing an addictive substance can cause irreparable damage. Suddenly the character House seems a lot more sympathetic, doesn’t he? Almost all of the time, this is a bad idea--especially when attempted alone. Because of how dependent upon a drug a person becomes, the detoxification process can be quite dangerous. It is always better to go through detox and withdrawal with the help of a trained professional. This is why so many people check into rehabilitation facilities to detox; rehab centers have trained medical professionals who can watch for and treat any detox side effects or problems. It is important to seek treatment sooner rather than later. The sooner you can admit you have a problem the better chance you have of lasting recovery. And though it will take time for your brain to start functioning normally again, it is important to understand that it is possible. Cause: Varicose veins are caused when valves in the veins do not work properly, causing them to become swollen and distorted. Normally, blood travels up the veins to the heart but when the valves malfunction the blood falls down the vein instead. As a result, the veins become enlarged and twisted, the skin can become discolored and thickened, and this can cause significant pain. The condition is most common in the legs due to high pressure in the lower limbs when standing. There is a strong genetic component to most cases of varicose veins. Risk factors for developing varicose veins includes obesity, pregnancy, prolonged standing, menopause, abdominal strain, injury to the legs, and aging. However, it is a myth that varicose veins only occur in the elderly because many young people (including teenagers) develop them as well. Prevention: Although there is no guaranteed way to prevent varicose veins, the chances of developing them can be reduced through exercise, weight loss, proper diet (high fiber, low salt), keeping the legs elevated (e.g., on a recliner chair), regularly changing sitting or standing positions (e.g., avoid prolonged standing), and (for women), avoiding high heels and tight fitting stockings. These prevention strategies improve blood flow and muscle tone and are also used as a form of treatment once varicose veins have emerged to prevent additional ones from developing. 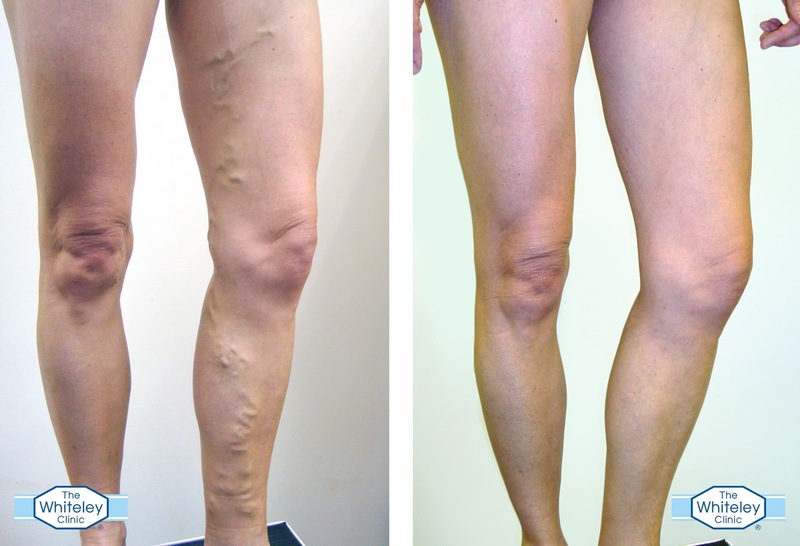 When too many varicose veins have appeared, however, more intensive treatments may be needed. Treatment: One traditional treatment for varicose veins is known as “venous stripping.” This involves removing all or part of the sapheous vein, which is the large superficial vein of the leg. It is a myth that this is the best treatment for varicose veins because the vein can regrow in the future leading to recurrence, there are numerous potential complications (e.g., blood clots), and the vein will not available in the future if a bypass graft is needed. Another important point is that venous stripping techniques treats the problem at the surface only. Thus, it is important to contact a varicose veins treatment specialist who will identify and correct the underlying problem and restore venous blood flow. An alternative non-surgical treatment for varicose veins is foam sclerotherapy, in which a medicine is injected into varicose veins to make them shrink. It is a myth that insurance will not pay for treatment of varicose veins. In reality, insurance companies will pay for treatment in most cases of varicose veins because it is a medical problem in addition to a cosmetic problem. People should not wait for pain to occur or all pregnancies to end before seeking treatment for varicose veins because the dysfunctional blood flow pattern needs to be corrected to prevent additional medical complications. 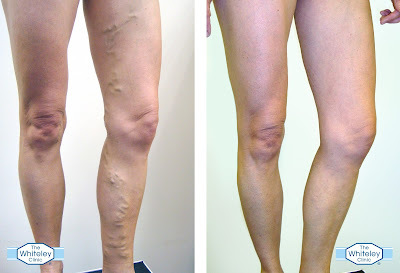 The best news of all is that varicose veins will usually not recur if treated properly. The ancient Greek philosophers, such as Plato, used to write about the benefits of doing things in moderation. For example, drinking too little water can lead to dehydration while drinking too much water can lead to water intoxication. Not exercising can lead to obesity and heart disease whereas excessive exercise can lead to injuries. There are some instances, however, where there are no benefits of moderation. For example, even a moderate amount of tobacco or asbestos exposure can be deadly whereas no exposure to these substances is the healthiest option. What about alcohol, however, which is one of the most frequently abused substances throughout the world? 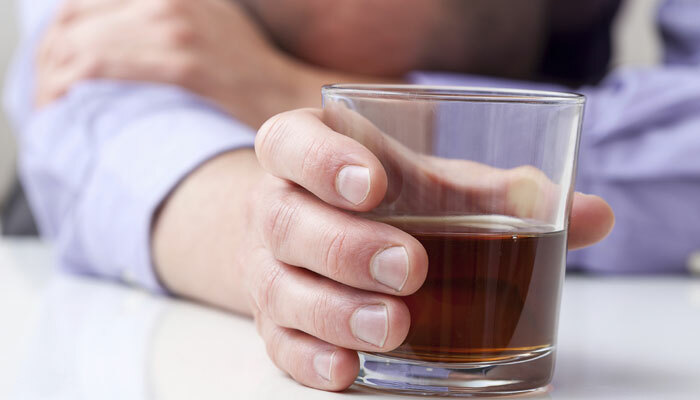 It is true that some people cause great harm (e.g., liver damage, financial ruin, relationship breakups) to themselves through alcohol abuse and binge drinking (episodic excessive drinking) and need to dry out now. Others avoid alcohol completely, which is known as teetotalism. There is evidence that young people are drinking less alcohol than in the past, at least when it comes to binge drinking. For example, research in England through the Office of National Statistics shows that binge drinking at least once a week decreased from 29% in 2005 to 18% in 2013. The same study showed that when young adults did chose to drink alcohol that they chose to drink less and more than a fifth of those surveyed denied drinking any alcohol at all. The latter is also a slight increase over time. The reasons for this trend are likely cultural such as the effects of public health campaigns, increased use of social media, and religious beliefs. Whatever the explanation, the ancient Greek philosophers would surely approve. When assessing the best healthcare systems across the United States, analysts look at a variety of factors. They start by comparing hospitals in the area, then they look at patient accessibility to the healthcare facilities and outcomes of treatment of various diagnoses. Which states are the some of the best places for healthcare? Hawaii ranks highly on most lists of best states for healthcare. As of a recent study conducted by Commonwealth Fund, less than four percent of the population couldn’t see a doctor for a health condition due to the cost of the medical visit. More than 80 percent of the state’s population has a primary care provider, or someone whom they can trust to care for them when a problem arises. Iowa comes in next, with rates that almost match Hawaii’s. More than 84 percent of the population has a primary care provider, while just over eight percent avoided going to the doctor because of cost. When new nursing and other healthcare field graduates of Maryville University Online look for job opportunities throughout the country, they are often seeking positions in some of the most prestigious and awarded facilities. The clinics and hospitals in the top states are great places to start work in the field. U.S. News & World Report conducts an annual study of hospitals and medical centers throughout the United States that have the best facilities for treatment of specific medical conditions. Cancer treatment is always something that many patients have an interest in since the number of diagnoses continues to rise. Memorial Sloan Kettering Cancer Center in New York, NY, University of Texas MD Anderson Cancer Center in Houston, and Mayo Clinic in Rochester, MN rank as the top three places to go for cancer treatment. When analyzing healthcare systems, there are a number of different aspects that can make or break an organization. With so many different healthcare providers and medical facilities providing excellent care, there are certainly options for all patients to find appropriate treatment for their conditions throughout the country. 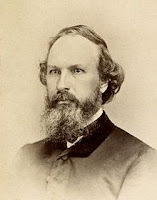 In 1882, Dr. Edmund Andrews (a surgeon from Chicago) had a serious problem to deal with. One of his patients, a young woman of about 22 years of age, had been shot in the face at close range with a shot gun one year prior. The bullet entered from front to back on a diagonal angle, tearing away her right cheek and stripping the skin off her jaws. The woman was horribly scarred and the deformity from the injury caused the opening of her mouth to appear triangular in shape. Without a cheek, one could see the woman’s molars through the side of her face. Dr. Andrews tried to figure out if there was a way to remove skin from one part of her body and transplant it to the cheek area. He looked at her forearm and neck for spare tissue but this was to no avail because she was too thin. What he needed was not only skin but fat in order to provide a thick cushion in the cheek area. He found that her deltoid muscle (shoulder muscle) served this need quite well. 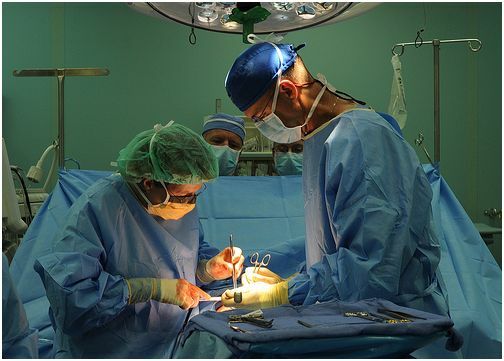 He therefore anesthetized the patient and cut an oval flap of tissue from the front of the deltoid (2 inches wide by 2.5 inches long) and left it attached to her collar bone. He then washed the flap and wrapped it in the tissue of the gutta-percha tree for about a week. This tree tissue was used by surgeons at the time for the repair and preservation of body tissue. In this case, it helped the body tissue recover its circulation. The surgeon’s next step was to anesthetize the patient again and use a scalpel on the scarred area of the cheek to make the hole match the size of the should tissue flap. The patient bent her neck towards the flap and raised her shoulder to meet it. The flap was then stitched into the open cheek area. The head and shoulder area were then plastered together with adhesive straps and bandages. The patient had to stay like this for a week. This must have been quite uncomfortable but it was needed at the time to allow the shoulder tissue to form a viable union in the cheek area. After a week, when the union was established, Dr. Andrews separated the tissue flap from the shoulder and the patient’s head was released from confinement. Over time, most of the transplanted tissue remained but one part near the mouth sloughed off. Three weeks after the shoulder flap was separated, Dr. Andrews filled in the gap with other tissue. Due to this pioneering procedure at the time, the patient developed a reasonably full and rounded cheek. The full reference for more detailed documentation of this historical surgical procedure is: Andrews, E. (1883). Restoration of a lost cheek by a flap from the shoulder. Journal of the American Medical Association, 1, 20-21. 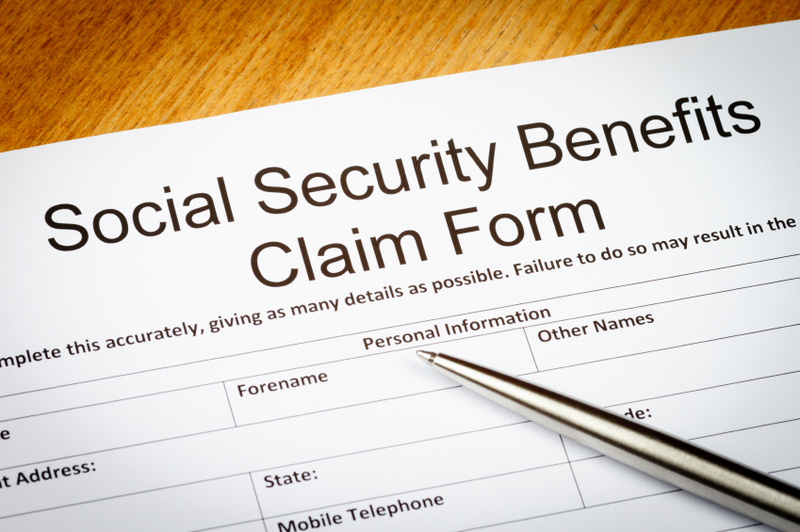 Have you looked into Social Security Disability Insurance? The Social Security Administration (SSA) offers these benefits to any American suffering a severe, long-term medical condition that prevents them from working. Although the disability program has a few requirements you must meet, if you think you qualify, you shouldn’t wait to apply. Many people mistakenly believe that you have to be disabled for at least one year before you’re eligible to apply. This is simply not true. You’re eligible for benefits starting the day your condition prevents you from going to work, and there are several reasons why you’ll want to apply today. Because a Social Security Disability claim can take up to two years to receive an approval, it’s important to apply for benefits as soon as you qualify. Even if your case progresses fairly quickly, Social Security Disability Insurance benefits do not begin until five months after the date you are approved. You’ll need all the financial resources you have just to get through this waiting period. After all, since you’re not working or receiving benefits, your income will more than likely be limited. Also don’t feel as if you’re “burdening the government,” either. Social Security Disability is not welfare; it’s an insurance program that you pay into through your Social Security taxes. You contributed to the fund in case you needed to use it, and now you do. Social Security Disability Insurance does have a work credit requirement, meaning you need to have worked a certain number of years to be eligible for benefits. The general rule is at least five out of the past 10 years. If you wait too long to apply for benefits, you may wait yourself out of eligibility. Finally, the SSA awards back pay for up to 12 months before your application date (until the day you became disabled). They do this to compensate for the long application process. If you wait too long to file, you could miss out on thousands of dollars of back pay. Overall, waiting to file for benefits doesn’t make sense. Given the long wait times and work credit requirements, you don’t want to jeopardize your financial future over pride or procrastination. If you qualify, don’t put it off any longer—apply for disability benefits now. With summer upon us it’s important to remember that a diabetes diagnosis doesn’t have to stand between you and fun in the sun! 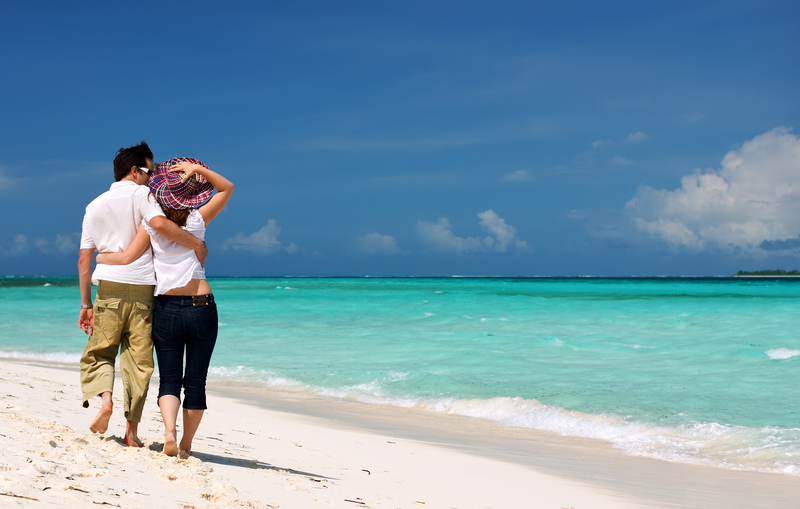 With a little planning and preparation, your day at the beach can be relaxing, enjoyable, and stress-free. Once you’ve made it to the beach and found the perfect spot, the last thing you want to do is go back because you don’t have the supplies you need. Be sure to pack enough diabetic supplies such as insulin to last you your entire beach day, and pack more than you think you will use. It’s usually a good idea to plan for an outing that’s twice as long as you think it will be, in case of the unexpected. You should also ensure that the supplies you pack are kept cool and out of the direct sun, as sun and heat can damage sensitive supplies. 2) Bring snacks that won’t melt in the summer sun. Low glucose at the beach can be a bummer if the snacks you brought haven’t survived the heat. To avoid a wipe out, make sure you bring a quick-acting source of glucose that won’t melt or spoil, such as glucose tablets. Other good choices for beach snacks include dried or fresh fruit, trail mix, and popcorn. Walking on sand, swimming, and a friendly game of beach volleyball can all take a lot out of you, and that means energy expenditure will be high. Make sure you’re compensating properly for all the blood sugar you are burning with healthy snacks and proper insulin dosing. Remember to consult your doctor before engaging in activities that are particularly strenuous, especially if these types of activities are unusual for you. Also beware of heat possibly compromising your insulin. If you plan on spending a lot of time in the sun, consider investing in a Tandem insulin pump. They are the only pumps with a temperature alarm, which will let you know if the temperature of the pump got high enough to compromise the insulin inside. Some people prefer more revealing swimwear, while others enjoy a more modest look. Ultimately your choice in swim and beachwear is up to you. Whatever clothing you choose, make sure that it breathes well and that it is UV-treated to protect you from the harsh rays of the sun. If you do plan on getting in the water make sure you keep your glucose monitor and other devices safe from water damage. The summer sun can heat surfaces such as sand and pavement to a burning temperature. Beaches are also be strewn with sharp ocean debris, seashells, and other objects that can damage or puncture the skin. Make sure to wear shoes or sandals and inspect and wash your feet carefully after enjoying time outdoors. It’s easy to lose track of time while enjoying your day at the ocean’s side. Make sure you eat on a regular meal schedule, test your blood sugar levels frequently enough, and stay hydrated. Remember that sweating and increased thirst can be evidence of changes in blood sugar levels, not just summer heat. As always, don’t stay in the sun too long without reapplying sunscreen. Keep these in tips in mind and your beach day will be a breeze! Ever since childhood, we have been told to brush and floss daily. It's an important lesson many of us don't take seriously enough. We all know good brushing habits will give you nice white teeth, healthy gums, a fresher mouth and better breath. Good oral hygiene prevent cavities, tartar and plaque build-up and keep you away from those agonizing trips to the dentist, and that spine chilling sound of the dentist's drill. The benefits of good oral hygiene and healthy teeth go far beyond a beautiful smile and a pleasant trip to the dentist. Brushing and taking care of your teeth and mouth can prevent heart disease and infections, which may lead to diabetes and a host of other health issues. Having a healthy mouth is the start to a healthy life. Here are the top benefits of keeping healthy teeth. The mouth and body are connected more than most people realize. Chronic obstructive pulmonary disease, or COPD, and pneumonia are serious respiratory illnesses which can be prevented by keeping healthy teeth. New studies are starting to find links between periodontal disease and respiratory disease. Both COPD and pneumonia are bacterial infections. They occur when harmful bacteria enters the lower respiratory tract. Both of these infections can lead to serious medical complications, and a lifetime of medications and treatments, and in some cases death. Unhealthy teeth can lead to a build-up of plaque, a combination of food and bacteria, which can lead to periodontal disease. When bacteria from plaque gets into and around the teeth it can cause an infection called periodontal disease. This bacterial infection can enter the body and blood stream through the gums and mouth. This infection can spread to the lungs and respiratory tract causing COPD and pneumonia. Daily brushing and good oral health care will eliminate plaque, tartar and bacterial build-up. There will also be less bacteria in the mouth, less chance of periodontal disease, and less chance of respiratory infections. Most of us have heard about gingivitis and most of us have experienced some early stages of this bacterial infection. Early stages can include sensitive swollen gums which can bleed when we brush. 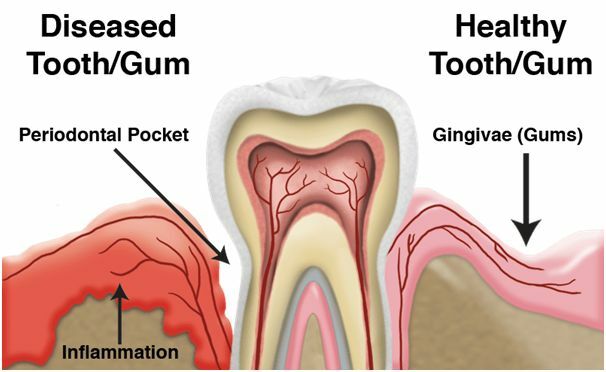 Gingivitis is an infection in the gums caused by plaque. Brushing keeps food and bacteria from building up, in and around, the gums. Keeping your mouth free of plague will diminish the chance of gingivitis and bacterial infection. Gingivitis is particularly dangerous for pregnant women. During pregnancy women can have a higher chance of developing what is called pregnancy gingivitis. Gum disease and gingivitis can cause premature birth rates and much lower birth weight averages. So healthy gums equals healthy babies. If you have braces you have a greater risk of gingivitis, an article on orthodontic hygiene states, "Proper oral hygiene is as crucial to overall health as exercise and eating well." Children and adults with orthodontics need to pay special care to their teeth and gums, as braces and other orthodontics can trap more food and bacteria, increasing the chance of gingivitis. Diabetes is a deadly disease in which your body improperly controls the body's blood glucose levels. It is a serious medical problem and one of the leading causes of death in America. So how does brushing your teeth help prevent or control diabetes? Gum disease is an infection which affects not only the mouth but the whole body. In addition to spreading infection throughout the body, gum disease also has adverse effects on your body's ability to control your blood glucose levels. So those with serious gum disease are far more likely to develop diabetes and those already suffering from diabetes can have added complications when combined with serious gum disease. Daily brushing, flossing, and rinsing with mouthwash can eliminate plaque and bacteria, lowering your risk of diabetes. Brushing your teeth can be good for your brain and preserve your memory. Gum disease and oral infection can diminish brain function and cognitive reasoning. Adults and seniors with gum disease show lower IQ test scores and have more difficulty with memory and simple math than those with healthy teeth and gums. Those suffering from gingivitis can experience loss of brain power and often find negative effects like delayed verbal recall. Gingivitis and other periodontal disease can cause cognitive dysfunction similar to Alzheimer's disease. Cognitive dysfunction associated with gum disease affects all ages from the very young to the very old. So keeping a healthy mouth can lead to a healthy mind. Wagyu Beef – A Better Way To Get Natural Fats? I recently read a news article about the return of a beef called Wagyu, I felt compelled to look into this further as the prices were just astronomical. A full packer brisket can cost $225, the reason why the price is quite high is because the cows are 100% full blooded Wagyu and they are left to roam in a 27,000 acre ranch. Though not all Wagyu is expensive there are other places you can pick up this fantastic, mouthwatering beef a bit cheaper. The cheaper Wagyu beef is mass produced and most probably seed fed as opposed to the all natural grass fed. The recommended daily intake of fat should be between 20-35% of your daily intake of calories, saturated fat should be less than 10% of total calories. So let’s say you take in 2,000 calories on your daily diet, this means you can take in no more than 44-78g of fat or 22g of saturated fats. We all know saturated fat is the main cause of clogged arteries, therefore we must keep this low and polyunsaturated and mono-saturates a bit higher as these are the good fats. So a normal 4oz cut of beef contains 6g of saturated fat, Wagyu beef does contain 11g but the upside is the fact it contains a heck of a lot more polyunsaturated and mono-saturates which helps with your heart and lowers cholesterol. Polyunsaturated fats can help reduce bad cholesterol levels in your blood which can lower your risk of heart disease and stroke. They also provide nutrients to help develop and maintain your body’s cells. Oils rich in monounsaturated fats also contribute vitamin E to the diet, an antioxidant vitamin most Americans need more of. 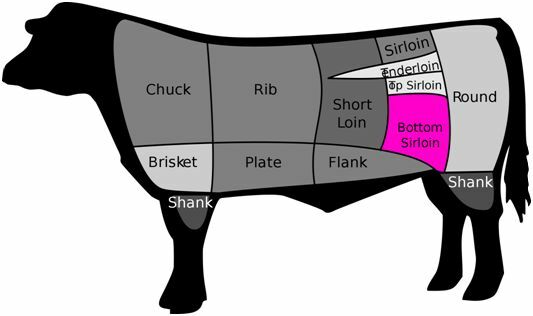 Most countries have a grading system, depending upon the marbled fat in the beef, they also use the same system to weed out the poor cuts of beef in foods. The more marbled the fat is within the beef then the more flavour and tender the beef actually is, this also achieves the highest grade. The highest grade of beef (prime beef) according to USDA grading system has to have a grading of 6-8%. 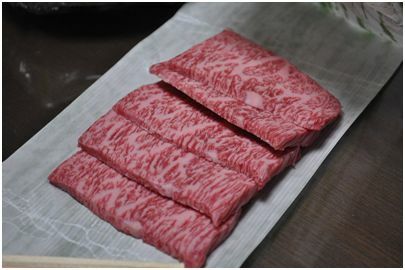 Wagyu beef boasts a massive 20-25% marbled fat – hence the price and why so many people enjoy. It is this marbled fat and the high contents of good fats which give the wagyu beef its superior taste and textures. Finding Wagyu beef is the simple part, locating the best quality is not so simple. I would recommend you look around on the Internet first for places nearest to you that produce their own beef, failing that there is a delivery option on many of the websites that sell it. If you are after 100% full blooded beef you will need to do some digging as I have found many of the shops online are selling mass produced Wagyu beef. 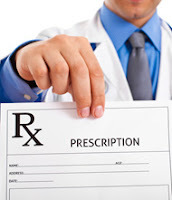 There are many cases where prescription drugs have positive results for people. However, if you ask most people they'll likely complain about the many side effects they've experienced from their prescriptions. So, are prescription drugs helping or hurting people? There are people on both sides that will argue their belief, either that there is nothing wrong with them and how they heal people and make them healthier or that they are bad. No matter what you believe, you have to admit that it seems prescriptions only mask people's ailments. There are more natural ways of healing what ails you that can keep prescriptions out of your bathroom cabinet. One way is to eat healthy, get regular exercise and cut out bad habits like smoking. Living a healthy life is definitely the best way to ward off illnesses. Have you ever taken the time to look at the paperwork your pharmacist gives you when you pick up your prescription? The one that tells you the possible side effects? While not everyone is going to suffer from those side effects you may notice that many of the side effects are the direct opposite of what you were prescribed that medication for. When drug commercials for anti-depressants list possible thoughts of suicide as a possible side effect, don't you start to question prescription drugs in general? Why would a depressed person take something that might make them want to kill themselves? It seems like there may be better options over taking prescription medications for certain illnesses. In the case of depression seeing a therapist may be safer and better than a prescription. The next time you pick up a new prescription read that warning sheet. If your pharmacist doesn't give you one, request it. However, always talk to your doctor before you stop taking a prescribed medication so that they can help you come up with other ways of treatment. What About Prescription Drug Addiction? You may think that prescription drug addiction only happens to people that take drugs from other people that weren't prescribed to them. However, that thinking is way off. Even people with a prescription to a drug can become addicted to that drug. This is really common with people on pain killers. They can get used to the high they get from the pills when they do need them and then they'll fake the pain to keep getting them. As already mentioned, people can get addicted to someone else's prescription. It can also cause your own death to take another persons prescribed drugs. You may think they are safe since they were prescribed by a doctor, but they were meant for whatever specific ailment the person who got them has. There is help for people that are addicted to prescription drugs, and this type of addiction is just as bad as being addicted to heroin. It can still kill you, or at least cause you to lose your job, family or relationships. It is important to get treatment for prescription drug addiction with a program that is specifically designed to manage your particular addiction and its associated withdrawal symptoms. If you suspect someone is taking your prescription drugs you should start keeping them in a locked cabinet for which only you have a key. Some prescription drugs can also cause withdrawal symptoms when you quit them, which makes unwarranted use even more risky. Every dental office needs to have a dental chair. It is here that diagnostics and treatments are performed. The chairs allow a dentist to be properly positioned, thereby being able to access their mouth and teeth with ease. Additionally, they allow the patient to be comfortable and they allow the dental assistant to do their job. If you are considering purchasing dental chairs, there are a few considerations you need to make. 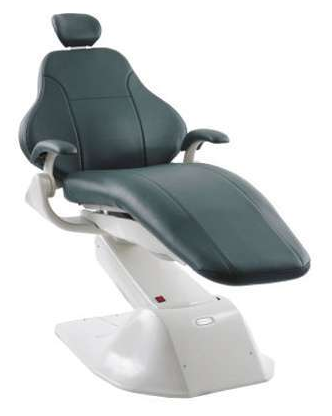 A padded chair gives extra comfort to both the patient and the dentist. Hence, you should always choose a chair with excellent padding. Try to find one that is ergonomic, so that it is able to adjust to different body types as well. The cylinder height is particularly important for the dental stool. This is because, as a dentist, you must make sure that you will not start to suffer from lower back pain. The stool must be suitable for your personal height, be that shorter or taller than the norm. Do also consider a stool with a waterfall edge, as this is more comfortable than a stool with a simple round design. Furthermore, it should come with an adjustable back rest, as well as tilting seat pan. Put together, this leads to greater comfort and less back pain, as well as ensuring you can access the patient with ease. Once you receive your new dental chair or your new stool, make sure you get to know them so you know exactly how to operate them. You must be able to make adjustments with ease as and when required, otherwise the ergonomic features will be wasted. Make sure you study the paperwork and instruction manuals that came with the chairs. If you can take up a trial period, do use this as it will allow you to find out whether or not the equipment is right for you before you part with your money. Dental chairs are not cheap, unfortunately. This is why you need to make sure that you maintain them properly and look after them according to the instructions, so you don’t have to replace them too often. Naturally, you can expect that you will receive some sort of warranty and guarantee on your chairs and stools when you first purchase them, but this doesn’t last a lifetime. Many dentists find that they prefer chairs and stools with removable padding, as this is also what tends to break the soonest, while at the same time being the cheapest element of the chair itself. If it is removable, you can simply replace that part of the chair itself. You may also want to consider entering into a service contract with the supplier or manufacturer of the equipment. As you can see, there are quite a few things to think about. There is no way around purchasing a dental chair, as you simply cannot run an office without one. However, this does not mean you should buy the first one you come across either. There are lots of little things that you can do to improve your and your family’s health. You can make sure to eat a nutritious and natural diet. You can get more exercise. You know all of the basics already. The problem for most people who want to get healthy isn’t a lack of knowledge. It’s getting into the habit of putting that knowledge into practice. 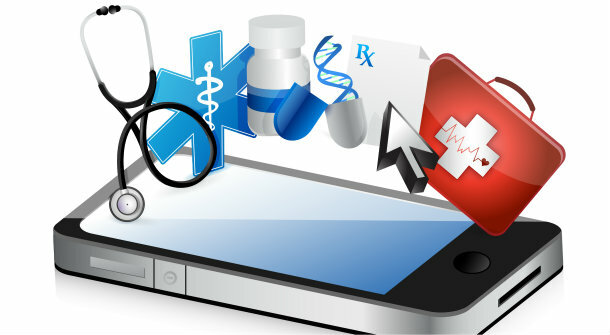 Featured in the ADP AdvancedMD marketplace, TruClinic is an app that connects you to your doctors, face-to-face and in real time via your mobile device. Billed as a way to “bring back the house call,” TruClinic is a great way to see your doctor without having to actually take the time to schedule, show up and then be kept waiting for what might turn out to be a five minute appointment for something very minor. It’s also a great way to get initial diagnoses when you notice that something about your health has gotten out of whack. It’s so commonplace now that we debated whether or not to put it on this list. It seems like everybody has a FitBit now and for good reason: it works and it works well. In addition to tracking your steps, the FitBit can also track your sleeping patterns, your nutrition, your weight, and your progress in these areas. What makes FitBit superior to many of the other apps out there is that it is cross-app compatible. The wristband and pedometer can be synced with other apps like Lose It, Spark People, Map My Run, and BeeMinder. It’s a many trick pony and one that you want in your arsenal. Rated as one of PC Mag’s top 25 Fitness Apps, My Fitness Pal is great because it doesn’t just track calories consumed and burned, it tracks the different kinds of calories consumed and burned. You can log specific recipes as well as general foods. In addition to the food you take in, it provides you with a variety of weight loss plans and a pedometer to help you take care of your overall health. Yes, Spotify is a music app. Why, then, is it on this list? Because the Spotify app can be used to build playlists built on your workout pace. For example, it will track your steps as you run an then build a playlist that focuses on songs that match your beat. It might not necessarily help you get healthier but it’s still pretty cool--especially if you depend on music to make your workout easier to deal with. These are separate apps: Zombies Run and The Walk, respectively. They’re paired up here because they offer the same basic experience. Zombies Run is for runners: you listen to a story about zombies through your earbuds and you have to keep running to keep them from catching you (and to complete a variety of missions). For people who hate running, The Walk offers the same basic experience except you walk instead of run. Unlike a lot of the other fitness apps out there, this app doesn’t assume that you have already reached any specific level of fitness. It assumes you’re starting from the point of not even being able to do a single pushup. Do each daily workout and, feel your body actually get stronger and healthier as you progress. If the feelings aren’t enough to keep you going, you can also watch the monkey on your screen go from being a baby monkey to a fully grown gorilla by the time you’ve finished all the workouts. There is more to health than simply exercises and counting calories. First Aid, an app offered by the American Red Cross and has information about what to do in the event of a lot of different accidents and injuries. The app features videos as well as photos, diagrams and written instructions for a wide variety of injuries and accident situations. Do you have a favorite app that helps you track, monitor and improve your health, let us know in the comments! Nursing is a profession that many take for granted. Although we’ve all been helped by nurses, we often overlook their abilities and knowledge base and give doctors the high praise. 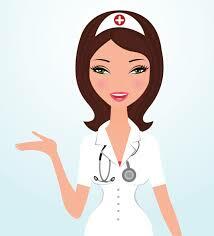 The truth of it is that nurses have a wide skillset and deep understanding of the medical field. Many take the time to pursue additional higher education, including online DNP programs to receive doctoral degrees, and some spend as much time receiving specialized training as doctors. Doctors are often in and out of a patient’s room, and don’t particularly take the time to really get to know a patient – especially in a hospital setting. Nurses, on the other hand, work more closely with patients and really take the time to get to know their personalities and needs. By knowing a patient more intimately, nurses are better able to determine how a patient is feeling and how they are progressing in their recovery. The ability to get to know patients more closely also allows nurses to work more collaboratively with patients, and patients who have a hand in creating their treatments are more likely to succeed. As the number of people needing healthcare due to age has increased, the demand for nurses has increased exponentially. Hospitals and care facilities throughout the United States have had a high demand for well-trained nurses, and offer temporary contracts and high salaries to nurses who are willing to travel. Travel nursing jobs in Hawaii offer nurses beautiful ocean beaches while those in Colorado afford nurses who prefer the snowbird lifestyle a chance to regularly visit the Rockies. Regardless of the scenery, many nurses are willing to fulfill the need of different hospitals, and sacrifice a more stationary lifestyle to offer people great healthcare. Traditionally, the healthcare model was focused on treating patients after they were diagnosed with an illness. However, as the cost of healthcare rises in the United States, current healthcare professionals are shifting their focus on disease and illness prevention. Prior to this shift in healthcare, nurses always predominately focused on prevention by educating patients on how to live healthier lifestyles. As efforts continue to focus on disease and illness prevention treatment models, nurses will only become more important in their roles. A doctor may be the one to come in and give a final say, but nurses are the individuals who actually take the time to provide one on one care. They make sure that patients receive their medications on time, make sure patient conditions remain hygienic, and ensure that patient needs are met. Nurses are often first responders as well, and are the ones who notice when a patient’s condition is deteriorating, stable, or improving – ensuring that quality care is met as soon as it is needed. Because nurses work closely with both patients and doctors, they serve as liaisons. Doctors aren’t always the best at using nonmedical jargon to explain a patient’s condition and often aren’t trained to have the best customer service. To ensure that patient’s understand their diagnosis, treatment, and prognosis, nurses take the time to thoroughly explain doctor’s orders. Nurses will also relay the patient’s needs, concerns, or questions to doctors to make sure that the patient is actually receiving the care they desire. Nurses work long hours and overnight shifts. They clean up the messes no one else wants to deal with. They provide support to not only patients, but their family members as well. They give shots, medications, check vitals, and offer recommendations to both patients and doctors. Nurses are a vital part of any care facility, and they will only continue to grow in their importance as we develop more sustainable healthcare models. When it comes to treating addiction, a multi-step approach is necessary. From treating the physical effects of long-term substance abuse to addressing the root cause of addictive behaviors, a lasting recovery requires in-depth comprehensive care. For example, for men struggling with addiction, underlying conditions like depression, PTSD and bipolar disorder often contribute to substance abuse, and can also worsen the effects of addiction. Therefore, to effectively treat addiction and prevent relapse with addictive substances, addressing underlying mental illness is crucial. Keep reading for more on mental illness and substance abuse among men, including information on symptoms, risk factors and available treatment options. • Post-traumatic stress disorder. PTSD is triggered by a stressful or traumatic event, and is associated with symptoms like severe anxiety, mood swings, sleep disturbances and flashbacks of the event in question. Men with PTSD are at an extremely high risk for addiction, as over half of all men with this disorder experience problems with drugs or alcohol. • Bipolar disorder. Characterized by severe mood swings and extreme behavioral disturbances, bipolar disorder is extremely common among men suffering from addiction. 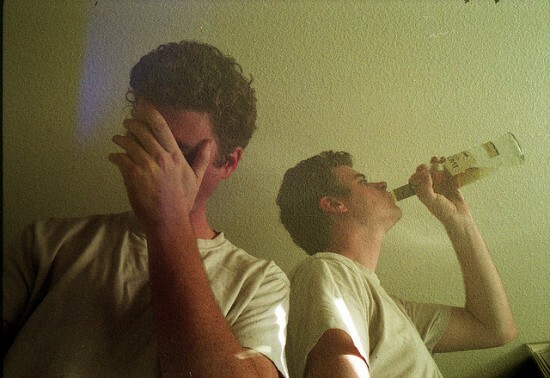 What's more, bipolar disorder can be difficult to diagnose and treat, which increases the risks associated with drug and alcohol abuse. • Depression. Though women are more likely to be diagnosed with depression, men suffer from this illness in growing numbers. Men are also less likely to seek treatment, and are at greater risk for complications like substance abuse, self-harm and other destructive behaviors. • Schizophrenia. Men are more likely than women to suffer from schizophrenia, and many use drugs or alcohol to relieve symptoms like extreme paranoia, hallucinations, anxiety and more. • Anxiety. Anxiety is typically viewed as a female issue; however, men and women suffer from social anxiety in near-equal numbers, and men with this disorder find it difficult to perform simple, everyday tasks. Symptoms of anxiety can vary, but can include feelings of fear or panic, as well as physical symptoms like high blood pressure and shortness of breath. • Counseling. Talk therapy is necessary in the treatment of both addiction and mental illness. One-on-one counseling encourages patients to explore their issues with addictive substances, as well as formulate a plan for long-term health and sobriety. Plus, talk therapy is often necessary in identifying the mental illnesses that often contribute to substance abuse. Group counseling is beneficial, as well, as it provides peer support, accountability and the opportunity for men to discuss their problems, honestly and without fear of judgment. • Medication. Prescription medications are often necessary in treating mental illness. For example, with illnesses like schizophrenia and depression, medications can relieve symptoms and enhance quality of life so that the urge to self-medicate with drugs or alcohol is significantly reduced. • Followup care. Followup care methods, such as continued counseling and group therapy, are crucial in preventing relapse and ensuring sustained mental health. • Dual diagnosis disorders can have a severe impact on health and quality of life. Thankfully, though, with intensive, comprehensive care, recovery is possible. If you or someone you love is suffering from addiction and/or mental illness, get help today, and take the first step toward a better, brighter tomorrow.